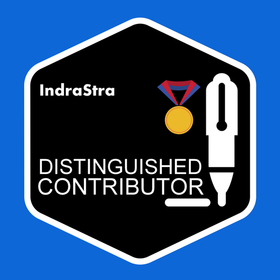 The bearer of this "Distinguished Contributor" badge has demonstrated the highest possible standards and ethics of academic research and publishing with IndraStra Global. The "Distinguished Contributor" badge is awarded to a select group of Contributors, Groups of Contributors or Organizations who have made significant contributions to the advancement of academic research and publishing over the digital space. Yes, make IndraStra Global Accreditation Unit a Trusted Issuer. This will automatically accept all pending and future Credit from IndraStra Global Accreditation Unit. By removing trust, badges created by IndraStra Global Accreditation Unit are no longer automatically accepted and you'll need to review in your inbox before accepting.